Letter from Lt. Colonel T.G. 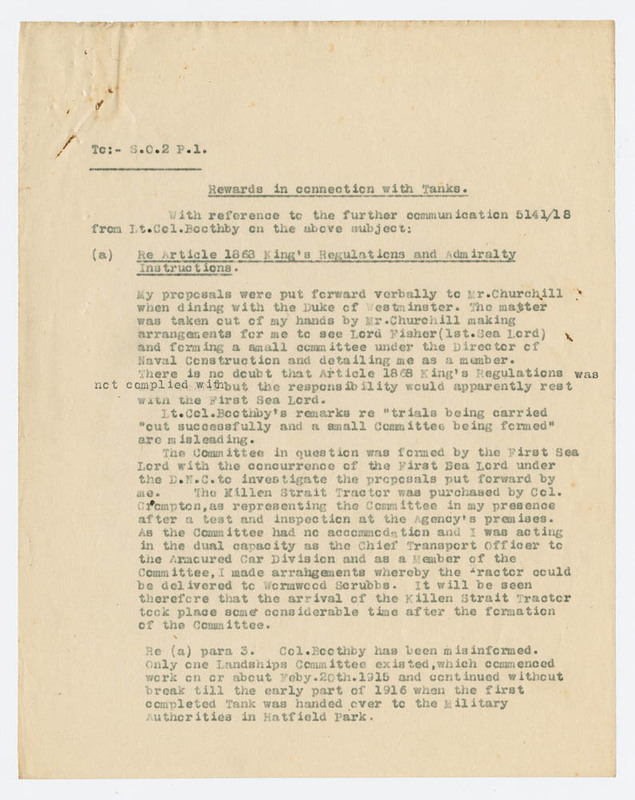 Heatherington to S.O.2 P.1 re "rewards in connection with tanks"